In medium bowl, mix yogurt, mayonnaise and salt. Stir in chicken, celery, green onions and cherries. To serve, spoon slightly less than 1/2 cup chicken mixture on each lettuce leaf. These wraps will hold up well for lunch when prepared in the morning and refrigerated until served. Bring some grapes for a great accompaniment! You can use leftover cut-up cooked chicken, or pick up a rotisserie chicken at the supermarket instead of the cooked chicken breasts. 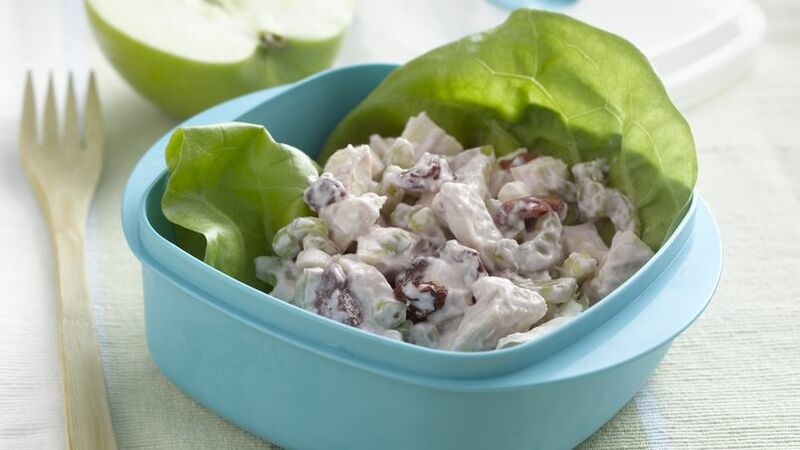 Black cherry yogurt provides the special flavor for these low fat crunchy chicken salad lettuce wraps.